How much is your house in Spain worth? When we face the purchase or sale of a home we always have the same doubt: is it expensive or cheap? How do I calculate it? It does not matter if you are the owner, the buyer, the landlord or the possible tenant, everyone doubts about what would be the appropriate price of a house for sale or rent. At some crucial time in one’s life this could be an essential question. It might be because a large sum of money is required for an emergency, or it might be that an exchange for a larger or smaller property is wanted or simply just because you want to know the value, full stop. Well, if you read these coming articles you will find in the last part an approximate method to put a value to your home which can be reasonably accurate but a degree of impartiality is required during the calculation. Now, it will be important to bear in mind that there are several formulas for the calculation and that the valuation value of the real property varies, both in time and by the purpose of that valuation. As mentioned earlier, your home may have a different valuation depending on its goal. Thus, for example, the value that the property can achieve for sale and the value that is set in a sale to request a mortgage will not be the same. 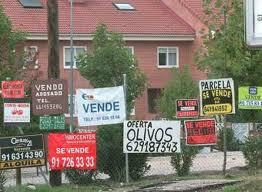 The difference is established by the rules applicable to the valuation of housing in Spain; Order ECO / 805/2003. This regulation argues that market value is simply what a third party is willing to pay, an aspect that will have a lot to do with market conditions at that time. 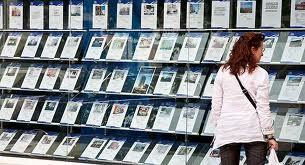 For instance a mortgage appraisal is done by a bank. The value will be obtained by a professional and prudent appraisal normally is carried out, which will take into account the market conditions and many other aspects. An important point for this calculation is that it will exclude all speculative elements. To the previous valuations ones can add more valuations for the same property, as for example the fiscal value. In this case, the method that Hacienda will use for the settlement of taxes will depend on the autonomous community in which the house is located. The application of a coefficient on the cadastral value of a dwelling or the establishment of a minimum per built-up meter are some of the systems used to calculate the value for taxes purposes, which may not coincide with the real value, in fact it rarely coincides. 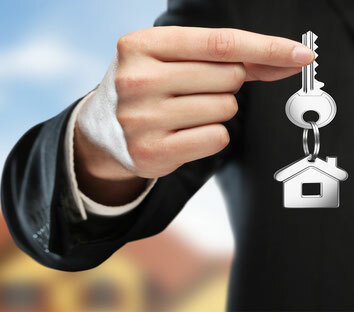 When you want to present an alternative appraisal to a bank or an official body, or in cases where a legal valuation is required (divorce or inheritance, for example), it will be necessary to commission an official report, namely a property valuation performed by an accredited professional. Normally it will be an architect, who will be responsible for the that appraisal, in the case of housing, will generally be carried out following the comparison method, which is delimited in the regulations and which will take into account six market values or sales of comparable properties. But this will not be the only criterion to establish the price, since issues such as price developments, the market situation and everything the technician can extract from a home visit will come into play. Its age, if improvements have been made, its energy efficiency, its distribution or the services of the building will be determining factors for the result of this appraisal, which, in addition, has a short period of time due to the fluctuations of the market. So, as you have seen, it is not only possible to know how much your home is worth, it is very likely that at some point you will need to request an appraisal of it. Therefore, when you need it, do not hesitate to consult several experts who, do not forget, will have to be accredited professionals. In the following articles I will explain other methods that might not be as exact as that carried out by a professional but it might give you an approximate estimation of the actual market value of the property. If we do the reverse operation of dividing the sale price between the rental prices, we will get what is usually called PER (Price Earnings Ratio). This figure is equivalent to the number of times the rental price is contained in the sale price or the number of years it would take to pay the price of a house by rent under the current conditions. It is a universally accepted ratio for valuing assets such as companies, housing, etc. According to the above data, if we had two of the three previous figures (sale price, rental price or PER), we could calculate the third. As we have the data of the gross profitability per rent of all Spain offered by the Bank of Spain (BdE) and updated quarterly, we only need to know a reliable rental or sale data in order to calculate an approximation of the other variable. 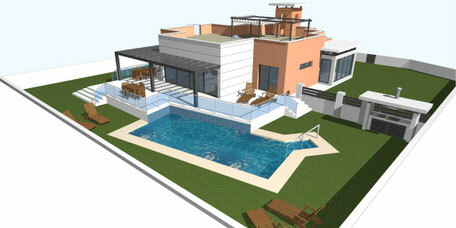 We can obtain this important figure by searching in Internet any let prices of similar properties to ours. If there were differences we will adjust up or down. According to the latest report by the Bank of Spain (BdE), the gross profitability of renting a home in Spain at the end of the first quarter of 2017 is 4.3%. This is equivalent to saying that the PER is 23.2 years or 279 months. In short, if we are sure that a house identical or very similar to the one that interests us is rented for a certain price, currently it would be enough to multiply the monthly rental price by 279 months to obtain a suitable approximate sale price. For example, if you rent for 1,500 euros per month and multiply that monthly rental price by 279 months we would get the selling price should be around 418,500 euros under the current conditions. Similarly, if we have a house that could be sold for 260,000 euros, it would be enough to divide between 279 to know that its rental price should be about 930 euros per month. We insist that it is important to know that the PER or the dividend yield varies over time, so we would have to update the calculation of this data to optimize the calculations. In times of very high real estate prices, the PER was very high, while now it is more moderate, although it has begun to rise. The provinces with the highest demand tend to have a higher PER than those with lower demand. Thus, it contrasts that in Spain the PER of San Sebastián is of 24 years, whereas that of Las Palmas is in 13 years. Within the same city or locality, the PER also varies. For example, the areas with the highest demand and considered as more consolidated, tend to have a higher PER. In this sense, the sale price per m2 of the Chamberí district (Madrid) is 4,291 euros, while the rental price is 16.7 euros m2 / month (204 euros m2 / year), according to data from the idealista.com. From dividing the purchase value against the annual rent you get a PER of 21 times. For Villa de Vallecas, with purchase price of 1,970 euros / m2 and rent of 9.6 euros m2 / month (115.2 euros m2 / year), the PER drops to 17 years. In line with all of the above, for the best houses or those that are in better condition is usually pay an extra price for the security that implies investing in them. Lower quality homes usually have a lower PER. All these facts, lead to the reality that for expensive houses it might be cheaper to rent than to buy. In fact, there are people who can pay rent in a good area of the cities, but that could not buy the apartment in which they live as tenant.